Social media is obviously not going anywhere. You’ve heard the statistics: Facebook is approaching 600 million users, Twitter users post 90 million “tweets” per day, and the fastest growing demographic of social-media users are those over age 55. The impact of social media cannot be ignored. It is not just influencing how we communicate, but how lawyers litigate. For some time there has been a lack of guidance on the discoverability and use of social-media content in civil litigation, but recently a growing number of court decisions and ethics opinions have addressed this issue. So just how is social media used in litigation? Social media is not limited to only family and criminal litigation. The usage of it in commercial, intellectual property, employment, products liability and personal-injury cases is quickly growing. Courts and litigants across the country are increasingly relying on evidence secured from social-networking sites. All sorts of evidence discoverable through social media are easy to imagine such as evidence of actual confusion in a trademark case, or evidence of reputation in a libel case. Often, individuals fail to restrict access to their social-media profile pages, and information about their background, location, reputation, credibility and friends is available to the general public, including an adverse party and the adverse party’s counsel. Thus, as soon as litigation seems likely, it is important to complete a thorough Internet search for information related to the opposing party, not just on Google, but directly on social-media sites. Recently, the New York State Bar Association issued an opinion that lawyers may access another party’s social media site for potential impeachment material “as long as the party’s profile is available to all members in the network and the lawyer neither ‘friends’ the other party nor directs someone else to do so.” N.Y. State Bar Assoc., Ethics Opinion 843 (Sept. 10. 2010). If an opposing party’s social media page is not available to the general public, the most efficient way to secure evidence on it is through discovery requests. Investigators can request identification of “any screen names or other identities used on computer sites or for social networking” and document requests might ask for social-media postings and messages related to the claims and damages in the lawsuit. The face of discovery was changed forever when email was born: appropriately named “e-discovery.” And it is predicted that social media will soon replace e-mail as the primary vehicle for interpersonal communications for 20% of business users. Litigators need to be ready, not just to make the most of social media but also to protect their clients against claims. Social media will no doubt impact preservation, collection, review and production efforts so parties should consider early on whether relevant information may be found on a social media site, and if so, whether or not they are required to or wish to preserve and/or collect such information. 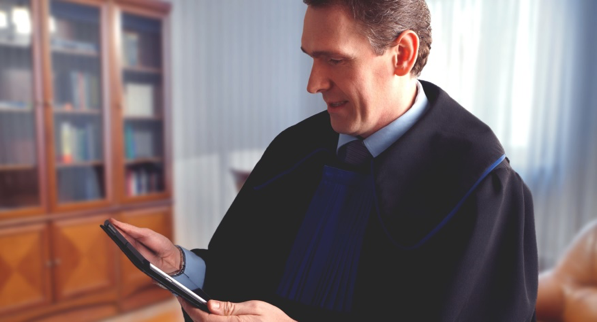 It has become apparent that lawyers must keep informed of changes in the law, including the benefits and risks associated with relevant technology. In a 2014 case out of the Florida Court of Appeals, the daughter of the winning party posted a comment on her Facebook page about the outcome of a lawsuit and how it would pay for her European vacation. Unfortunately, the post violated the confidentiality provisions of the parties’ settlement and torpedoed the settlement. Oops! This is a good reminder to always know what your client is posting on social media. Social media posts, like any other type of “evidence” may be relevant to the lawsuit in which you are involved. Therefore, like any other type of evidence, counsel may not alter or destroy relevant social media posts nor can we direct or assist others in doing so. For example, a lawyer directed his client to clean up his Facebook page, and then ultimately deactivated the client’s account before signing a discovery response that the client did not have a Facebook account. The Court levied a collective fine of $722,000 in sanctions against the lawyer and the client, and referred the attorney to the Virginia State Bar. In addition to the spoliation dangers presented by social media, Gatto dovetails nicely with Point I, supra, and serves as an important reminder to know both what your client is posting, and what your client may be deleting. It is important to remember that the essence of the legal profession is confidentiality and discretion. The take-away is simple: Rather than run into an ethics problem as a result of a social media post, tweet, hashtag, etc., think before you post. This entry was posted in Litigation and tagged social media and litigation. Bookmark the permalink. ← Could your Social Media posts be used against you in court?